This easy cranberry strawberry mold is so delicious that you won't be able to decide whether to use it as part of the main meal or save it for dessert! Try this recipe for your next holiday get-together to add instant color and great taste to your buffet. Before pouring jello into mold, spray with a non-stick cooking spray. Make sure that the jello is completely firm. Use a small spatula dipped in warm water to loosen the jello. 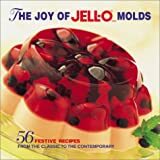 (Or you can moisten your fingertips and gently pull the jello from around the edge of the mold. Dip mold in warm water for no more than 15 seconds. Place moistened, chilled plate on top of mold. Turn upside down and shake gently until mold is released. Fill out the form below to keep updated on all things strawberry. New recipes, readers' comments, gifts, trivia, tips and more are available through my FREE monthly newsletter. Sign up today!